In its pre-budget proposals for 2019, the National Forum of Family Resource Centres (FRCs) presents the case for a budget of €20.2m to put the funding for the Centres on the minimum basis necessary for them to accomplish their tasks. The current 109 FRCs are located in disadvantaged areas and are based on a model of three full-time staff, though in practice only 40 have achieved their full operating complement. FRCs were significantly disinvested in the period following the financial crisis of 2008, losing 30.5% of their budget at a time of social distress, the reduction of other community infrastructure and increased demographic pressures and demand. Frontline services were reduced, staff pay cut, increments frozen, contract staff let go and extra fund-raising undertaken at some cost. There is no programme funding for FRCs to undertake work with families and communities. Funding of the FRCs is in 2018 still 12.4% short of its 2008 pre-crisis level, however, we must note the 2018 figures include €1760,000 for the 11 new FRCs so the 12.4% is not a true reflection of the shortfall.<br /> <br /> A welcome breakthrough was the decision to establish eleven new FRCs in 2018 and that their operating core budget should be €160,000 each, with a complement of three full-time staff. To bring all 120 FRCs to this level in 2019 would cost €19.2m: our proposal is that this should be the main objective for the programme in the 2019 budget. We also need a 3% cost of living increase on 2018 and to ensure the continuation of a professional network to promote the work of the programme the National Forum needs a budget to employ a full time National Coordinator. 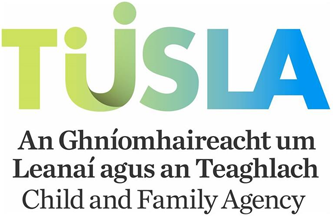 This would enable FRCs to carry out their mission, begin to address the demographic and social pressures that have emerged in the meantime and put the impact of the<br /> financial crisis behind.<br /> <br /> Family Resource Centres are a success story, bringing Ireland into line with best European practice in the delivery of accessible, trusted, low or no-cost services that act as gateways to others. They have a high work rate (409,007 adult and 70,073 child interactions annually) and lever in 2.9 times their core grants by bringing additional services into disadvantaged communities, as well as local salaried employment. They provide a range of services in the areas of pre-school, afterschool, food (food cloud, meals-on-wheels, café), intensive and structured help for families at risk, counselling, social work, information and advice, youth, labour market training, older people, domestic violence and the participation of Travellers and members of “new communities”.<br /> <br /> The impact and gains for these services have now been mapped, being most notable in such areas as nutrition, rising educational standards, homework, speech and language development, reduction of risk in high-risk families, improved school routines, reduced child over-attachment, identification of and help for shy and isolated children, the ability to use computers, coding skills for children, welfare and health entitlements, safety for women in situations of domestic violence, improved mental well-being from counselling, reduced isolation and improved social interaction for women and older people, better labour market skills and work opportunities, increased incomes, better social care, better community education opportunities, with the<br /> involvement of Travellers and members of “new communities”.<br /> <br /> Supports and Services provided by FRCs ensure savings for the state in the areas of educational failure, avoided behavioural interventions and care, policing and courts in domestic violence, avoided intensive mental help interventions and the integration of minorities. Without FRCs, clients would likely not obtain other services and their situations would deteriorate. FRCs provide low-tech, informal but highly skilled services and supports; the provision of a full budget, costed here at €20m, would, at last, enable them to reach the minimum operating level necessary for them to meet their vital role.